September 2014 Real Estate market is up compared to september 2013. Closings are up 8% and the average sales price is up 4.5% compared to the previous year. 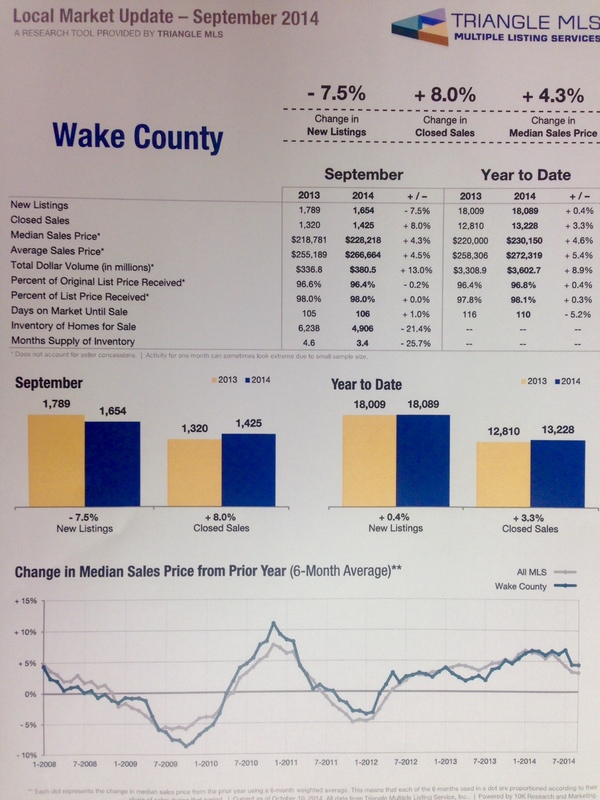 The above data chart is provided by Triangle MLS. Providing statistical reports on the residential housing market in the Triangle region based on the properties entered into the Triangle MLS system. These reports contain figures and graphs of activity for the most recent month and year to date. Reports are updated on the Triangle MLS web site about the 15th of each month. For further information visit http://www.trianglemls.com/market-trends.cfm.